TRENTON, N.J. (Legal Newsline) - This November, companies sending text messages to customers could face stricter penalties if they violate a New Jersey law combating text message spam. 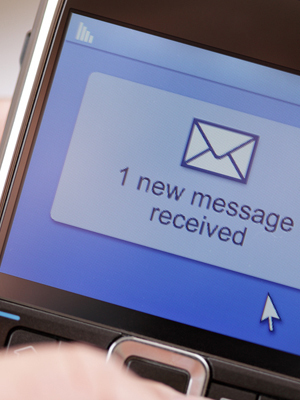 A New Jersey law, passed in October, joins legislation passed in 2014 in Connecticut that provides for penalties for any company that sends unsolicited text messages. Violators in New Jersey face civil penalties of $500 for the first offense, and $1000 for the second offense, if the offending messages cause the receiver to incur a charge. Legislators had initially sought damages as high as $20,000, but in signing the bill into law, New Jersey Gov. Chris Christie gave a conditional veto that limited the penalty. “Although we wish to discourage businesses from sending unsolicited text messages... it is important to note that such text messages are not automatically fraudulent or deceptive,” Christie said. The law requires companies sending advertising messages to get explicit authorization to do so and, even in those situations, authorization must be obtained for each phone number. In Connecticut, the punishment results in $20,000 in civil penalties for each violation. In addition to civil penalties, Connecticut’s law allow victims to file a lawsuit as part of the Connecticut Unfair Trade Practices Act. Darren McKinney, of the American Tort Reform Association, feels these penalties are too high, even if the intention was to deter violators. “Typically these bills make little or no exception for good faith errors,” McKinney said. “It’s one thing if someone is willfully sending out unsolicited text, knowingly breaking the law … but they rarely find these malicious actors. Connecticut, meanwhile, makes it clear that only text messages apply, and not emails that happen to be received on a cellular phone. The New Jersey law also requires cell carriers to offer users the option to block all incoming or outgoing text message. Penalties hinge on the possibility that users incur a fee or a deduction in their usage allocation. “If there’s real damage … if someone has a phone plan or data plan whereby they are paying for unsolicited text messages, that’s one thing,” McKinney said “It seems to me, primarily, to be means by which trial lawyers can boost their income." 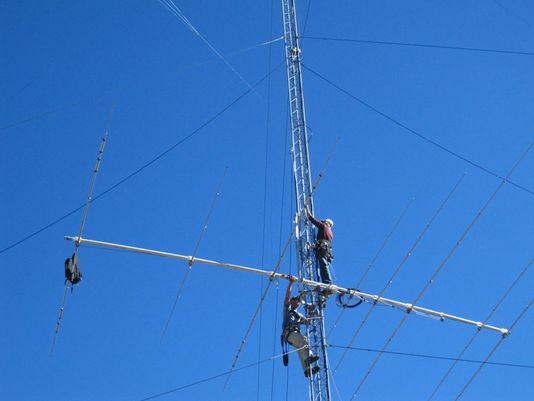 A couple of amateur radio operators installing a new antenna on an existing mast. SILVER CITY — As our society becomes increasingly dependent upon the internet and cell phones for staying in touch, few stop to consider what would happen in an emergency situation if these methods of communication were rendered useless. But ham radio operators in Grant County have definitely given it some thought. They know all too well what can happen, and as a result, are prepared to take action to maintain open channels of communication with emergency personnel. Unknown to many onlookers at local parades, festivals, bicycle races and other happenings, ham radio personnel may be volunteering behind the scenes. “We work various local events in case of accidents, emergencies or loss of cell coverage,” he said. Specialized training is required to become a ham radio operator. “One needs to pass an examination,” Levesque points out. “These examinations are administered by certified volunteers who are amateur radio operators. Study guides with test questions are available, as well as practice tests. Examinations can be set up locally for anyone interested in obtaining a license.” Last year, more than 20 local residents earned amateur radio licenses. PORTLAND, Ore. (AP) — As military helicopters ferry search and rescue teams over the Pacific Northwest, below them are scenes of devastation from a giant earthquake that could strike the region at any time. These contingency plans reflect deep anxiety about the potential gravity of the looming disaster: upward of 14,000 people dead in the worst-case scenarios, 30,000 injured, thousands left homeless and the region's economy setback for years, if not decades. There would be waves of cargo planes, helicopters and ships, as well as tens of thousands of soldiers, emergency officials, mortuary teams, police officers, firefighters, engineers, medical personnel and other specialists. “The response will be orders of magnitude larger than Hurricane Katrina or Super Storm Sandy,” said Lt. Col. Clayton Braun of the Washington State Army National Guard, referring to two of the best-known natural disasters in recent U.S. history. Since 2013, Braun has led a team at work on putting together a military response plan for Washington state, to be used in conjunction with efforts by state and federal civilian agencies. Oregon's response plan is called the Cascadia Playbook, named after the threatening offshore fault — the Cascadia Subduction Zone. The plan, unveiled last year, has been handed out to key officials so the state can respond quickly when disaster strikes. “That playbook is never more than 100 feet from where I am,” said Andrew Phelps, director of the Oregon Office of Emergency Management. When Phelps goes out to dinner, he keeps the playbook in his car for quick access. A magnitude 9.0 earthquake and tsunami that devastated parts of Japan in 2011 gave greater clarity to what the Pacific Northwest needs to do to improve its readiness for a similar catastrophe. “The Japanese quake and tsunami allowed light bulbs to go off for policymakers,” Phelps said. Federal and state emergency planners, as well as military officials, have been holding meetings to identify what can be done to lessen loss of life and to put the region in a better position to recover. Much still needs to be done, and it is impossible to fully prepare for a catastrophe of this magnitude, but those responsible for drafting the evolving contingency plans believe they are making headway. The plans call for using a tiered system for delivering personnel, gear and supplies into the devastated region. Large cargo planes, like the military's C-5 Galaxy, would land at airports or air bases capable of handling them, and then progressively smaller aircraft would be used to get personnel and supplies to smaller airfields close to devastated areas. Helicopters will play a crucial role, especially in coastal communities, which would likely be unreachable by road because of destroyed bridges and roads. Ships will likely be needed to assist with the delivery of emergency supplies and to assist with the evacuation of displaced and injured people. Emergency medical facilities to treat the injured will be set up because hospitals on the coast will probably be too damaged to use. Collection points for bodies will be created. Hotels, motels, college dorms, sports arenas and government facilities would be used as temporary shelters for evacuees. Military and civilian engineers will be sent in to begin repairing an infrastructure that could be shattered in the western — and most populated — third of the Pacific Northwest. Worst-case scenarios show that more than 1,000 bridges in Oregon and Washington state could either collapse or be so damaged that they are unusable. The main coastal highway, U.S. Route 101, will suffer heavy damage from the shaking and from the tsunami. Traffic on Interstate 5 — one of the most important thoroughfares in the nation — will likely have to be rerouted because of large cracks in the pavement. Base camps will be set up for emergency responders coming in from across the country, planners say, as will areas for the distribution of critical supplies such as water, food, tents, blankets and medical supplies. Transportable water purification systems and emergency communications units will be deployed. Seattle, Portland and other urban areas could suffer considerable damage, such as the collapse of structures built before codes were updated to take into account a mega-quake. Specially trained urban search and rescue teams would be sent to look for survivors in the ruins of destroyed buildings. 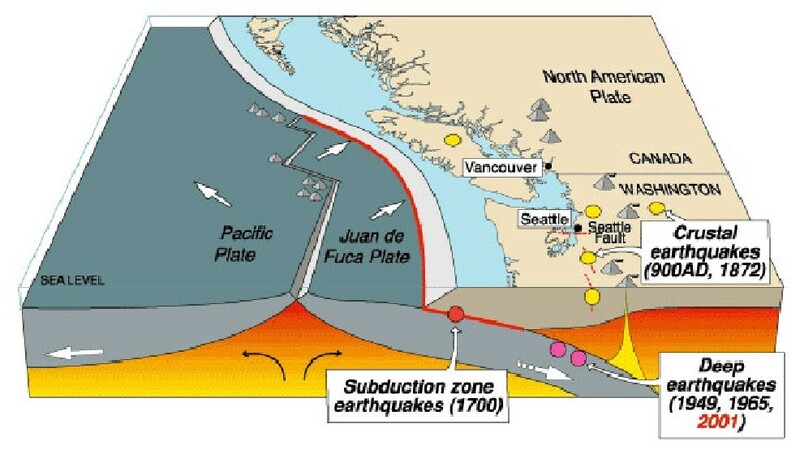 Phelps said he has learned to live with the threat from the Cascadia Subduction Zone. Still, “it's a little unsettling to know that in five minutes I might have to grab that playbook and call the governor,” among others. Because they're in movies and TV shows. 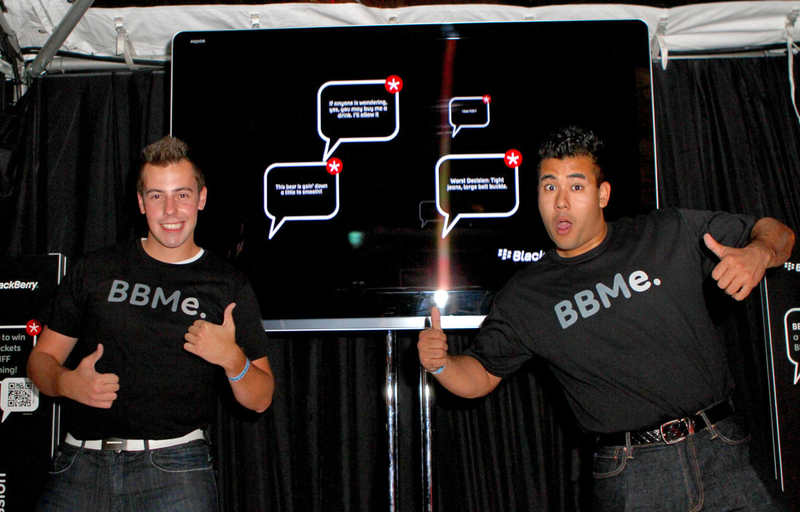 People say you must love yourself in order to be loved by others, and that's exactly what BlackBerry's trying to do. The manufacturer recently posted a blog highlighting how many times its devices appeared in movies and TV shows last year, taking into account a few of the major US television networks as well as Netflix and Amazon's original content. So what were the results? BlackBerry counted at least 199 roles: 154 on the small screen and 45 for films. 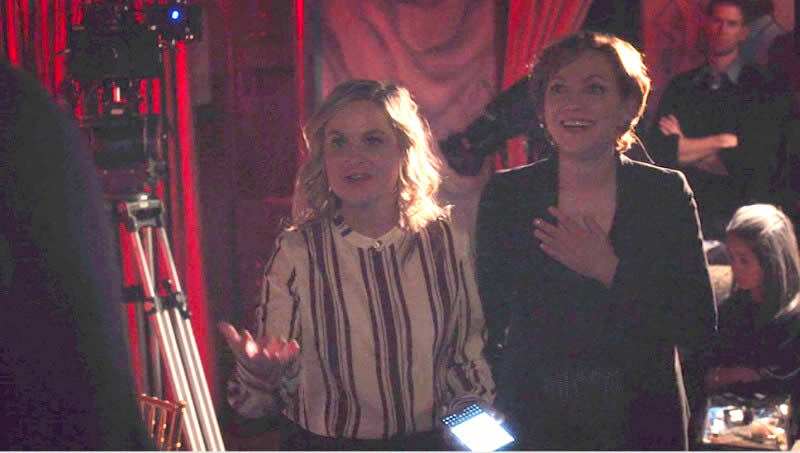 Here's proof: Amy Poehler with a BlackBerry in Netflix's A Very Murray Christmas. BlackBerry says it's not surprised the Classic, Passport, Q10 and Z10 phones were all featured across many different story lines, since TV and movie industries are "some of the most concerned with secure communications." It also added that writers like their characters to use BlackBerries because it makes the narrative more realistic — come to think of it, that's probably why we spotted The Doctor with a BlackBerry Storm. The next task for BlackBerry should be finding out how many celebrities are still using one of its phones, although there are already websites dedicated to this sort of thing. Online gaming can be a nasty business, with some sore losers targeting others to take out their frustrations. Skype recently took action to make that harder. Skype is adding a new default security feature primarily to protect gamers from their overheated rivals. The Microsoft-owned service recently announced it would start hiding users’ IP addresses by default in the latest update to Skype. Previously, a Skype user’s IP address was not hidden, meaning hackers who knew what to look for could easily obtain your IP address and thus target your computer. Why this matters: Online gaming is serious business. So serious that people who lose major online battles or matches can sometimes seek revenge. One easy way to do that is to launch a distributed denial of service attack knocking their victorious rival offline. Before launching a DDoS, however, you need your target’s IP address. That was actually pretty easy if you knew your target’s Skype name. You don’t even need to be a capable programmer as many websites called ‘resolvers’ promised to reveal a Skype user’s IP address. The issue of discovering IP addresses via Skype has been known for several years. Researchers had discovered vulnerabilities allowing hackers to obtain someone’s IP address via Skype as far back as 2010. But it wasn’t until 2012 that reports about obtaining a Skype user’s IP address grabbed public attention. To ensure Skype is hiding your IP address by default make sure you are using the latest version of Skype for desktop and mobile, which you can download directly from Skype. On the desktop, you can go to Help > Check for Updates to see if an update is available. Mobile users can download updates from their respective app stores. The revelation of an alleged revenue-sharing deal between the rivals shows the importance Google places on having its search bar in front of as many eyeballs as possible. How important is it to Google to be the first place iPhone users go to for search results? Important enough that the Web giant reportedly pays its biggest rival in mobile big bucks for the privilege. The search giant paid Apple $1 billion in 2014 to keep its search bar on iOS devices, according to a Bloomberg examination of a court transcript from Oracle's long-running copyright lawsuit against Google. The payout was part of a revenue-sharing agreement between the two companies that gives Apple a percentage of the revenue Google generates through Apple devices, an attorney for Oracle said during a hearing last week in federal court. The alleged deal shows how important it is for Google — creator of Android the operating system that powers the majority of the world's smartphones — to have its search bar in front of as many faces as possible, even to the point of paying its biggest rival to cover all its bases. Apple's iOS and Google's Android made up nearly 96 percent of the smartphone OS market worldwide in the second quarter of 2015, according to market researcher IDC. While iOS had 13.9 percent of the market compared with Android's 82.8 percent, Apple's operating system gained more than 2 percentage points from the same period the previous year, as Google's lost 2 points. Disclosure of the deal during a January 14 hearing in San Francisco apparently ruffled some feathers. After it was revealed that a Google witness said during pretrial questioning that "at one point in time the revenue share was 34 percent," an attorney for Google immediately objected and attempted to have the reference stricken from the court record, according to Bloomberg's report published Thursday. "That percentage just stated, that should be sealed," lawyer Robert Van Nest said, according to the transcript reviewed by Bloomberg. "We are talking hypotheticals here. That's not a publicly known number." After US District Judge William Alsup denied that request, Google and Apple filed requests with the court to seal and redact the transcript. Shortly thereafter, the transcript vanished from the electronic record, according to Bloomberg. The revelation is among the biggest fallout from Oracle's 2010 lawsuit against Google for copyright infringement related to Google's use of 37 Java APIs in Android. Google argues it was free to use them because the Java programming language is free to use and because the APIs are required to use Java. Oracle argues that Google knowingly used the APIs without a license from Sun Microsystems, which Oracle bought in 2010. Oracle declined to comment on the report. Representatives for Apple and Google did not respond to requests for comment. Updated 1/22 at 8:15 a.m. PT with Oracle declining to comment. On January 20, the FCC issued a Public Notice provides the filing instructions for the FCC Form 175, the application for parties seeking to participate in the forward auction (Auction 1002). Specifically, the Public Notice covers the filing instructions for the FCC Form 175, including how an applicant can assert its eligibility for a designated entity bidding credit, select the license area(s) on which it wishes to bid (including for reserved spectrum), disclose auction-related agreements, and provide information regarding its ownership structure. Carriers interested in participating in the auction, or who have questions about applying to participate, should contact the firm without delay. On January 13, the First Responder Network Authority (FirstNet) issued the full text of the official Request for Proposal (RPF) for its Nationwide Public Safety Broadband Network (NPSBN). The anticipated contract resulting from this RFP will be a single award Indefinite-Delivery-Indefinite-Quantity with fixed price payments to FirstNet by the Contractor for each of the 56 states and territories resulting from this solicitation. The deadline for submitting a proposal in response to the RFP is April 29, 2016 at 2:00 pm Eastern. Building, Deployment, Operation, And Maintenance Of The NPSBN: Provide nationwide interoperable public safety broadband network service that ensures network coverage 24 hours a day, 7 days a week, 365 days a year and complies with the technical requirements referenced herein, throughout the RFP and its attachments. Financial Sustainability: Maximize the impact of government funding, and leverage all 20 MHz of Band 14 spectrum, in order to build, deploy, operate, and maintain the NPSBN to serve public safety and for secondary use while ensuring a self-sustaining business model. First Responder User Adoption: Establish compelling, differentiated, and competitively priced service packages and sales, distribution, and marketing capabilities to ensure adoption of FirstNet products and services by a majority of eligible PSEs within four years of award. Accelerated Speed to Market: Achieve operational capabilities in accordance with a schedule and feature sets denoted in the RFP. User Service Availability: Provide a broadband service with availability of 99.99% as measured in a rolling 12-month window within each reporting area. Cybersecurity: Provide cybersecurity solutions using the extensive set of industry standards and best practice, including encryption capabilities to support federal, state, and local public safety users. Priority Services: Provide a solution that allows the assignment of quality of service, priority, and preemption parameters to user profiles using the standard service control parameters. Integration Of State-Deployed RANs: Integrate the NPSBN across state- and territory-deployed RANs so that users operate without service interruptions, including when crossing RAN service area boundaries. Integration of Existing Commercial/Federal/State/Tribal/Local Infrastructure to Support NPSBN Services: Integrate existing assets with an emphasis on assets owned and operated by rural telecommunications providers. Life-Cycle Innovation: Evolve the NPSBN solution and incorporate 3GPP LTE standards as they evolve and mature throughout the life of the contract. Program and Business Management: Provide program management for the NPSBN. Customer Care And Marketing: Market NPSBN products and services to public safety users in all states, territories, and tribal lands and provide highly responsive and quality customer acquisition, service, and customer care. Facilitation of FirstNet’s Compliance with the Act and Other Laws: Perform all objectives and provide information and services in a manner that facilitates FirstNet’s compliance with its statutory requirements under the Act and all other applicable laws. While the RFP is clearly national in scope, it does place an emphasis on the integration of assets owned and operated by rural telecommunications providers. Therefore, even small rural carriers (as well as regional carriers, manufacturers and others) will want to review the RFP and evaluate opportunities to get involved at the integration level. On January 12, news source The Hill reported that the House Oversight and Government Reform Committee issued a report on the effectiveness of the Freedom of Information Act (FOIA) which, among other things, concluded that several agencies (including the FCC) overuse and misapply exemptions and redactions, effectively withholding information from FOIA requesters. “The [FCC] either misunderstands how to use redactions, raising concerns of competency, or the agency intentionally misuses redactions, raising concerns of integrity." In the documents released through FOIA, the report finds, the FCC marked most of the redactions as “(b)(5)”, which exemption allows agencies to redact information that would be considered privileged in a legal proceeding, such as communications covered by the attorney-client privilege. Agencies also enjoy a privilege called “deliberative process,” which protects the agency decision-making process by allowing the agency to withhold documents and communications that are (1) pre-decisional and (2) deliberative. According to the report, “pre-decisional” means the material must have been created prior to the adoption of a policy, and “deliberative” means that the materials contain recommendations or expresses opinions on legal or policy matters. However, the report continues, the (b)(5) exemption has become known as the “withhold it because you want to” exemption. The report points out that this redacted language specifically notes that it has already been approved by Chairman Wheeler, meaning it must have been created after the decision was already made, and cannot be withheld under (b)(5). The report includes more than 200 examples of incorrectly redacted documents released under FOIA, showcasing misapplication of many of the exemptions under that Act. "It is unclear why FCC has determined that releasing the initials of the top agency official acting his official capacity is a 'clearly unwarranted invasion of privacy.' What is clear, however, is that FCC is not appropriately balancing the public interest in disclosure," the report concluded. A full copy of the report can be found here . On January 5, the FCC received approval from the Office of Management and Budget (OMB) for the modifications to the Lifeline reporting requirements contained in its Second Further Notice of Proposed Rulemaking, Order on Reconsideration, Second Report and Order, and Memorandum Opinion and Order of June, 2015 (2015 Lifeline Reform Order ). The rules will become effective upon publication of OMB approval in the Federal Register. Allowing electronic signatures for Lifeline subscriber certifications. Carriers that participate in the Lifeline program and have questions about the new requirements should feel free to contact the firm for more information. On January 15, the FCC filed its response to the consolidated appeal from its July 10, 2015 Omnibus Ruling, in which it clarified numerous issues concerning the application of the Telecommunications Consumer Protection Act (TCPA) and provided guidance on whether certain conduct violates the TCPA. In its brief, the FCC addresses (i) the scope of its statutory authority; (ii) the definition of an “automatic telephone dialing system”, (iii) the meaning of “called party” and the potential liability for calls to reassigned numbers, (iv) the ability to revoke consent, (v) healthcare-related calls and the emergency purpose exception, and (vi) First Amendment challenges to the FCC’s statutory interpretations. Our clients that use autodialers for any purpose will want to closely follow the outcome of these cases, in order to avoid what could be costly fines for alleged TCPA violations. Intervenors supporting the FCC have a brief due this Friday, January 22, and the reply briefs of the petitioners in this proceeding are due on February 19. Various TCPA cases pending in federal district courts have been stayed pending the outcome of this proceeding, as well as Supreme Court proceedings in Robins v. Spokeo, Inc. (whether “a plaintiff who suffers no concrete harm, and who therefore could not otherwise invoke the jurisdiction of a federal court” can bring a private right of action based solely on a technical violation of a federal statute) and Campbell-Ewald Co. v. Gomez (whether a case is mooted when a plaintiff is offered complete relief of his claim). On January 12, the Subcommittee on Communications and Technology for the U.S. House of Representatives’ Committee on Energy and Commerce held a hearing on four communications-related bills: (1) H.R. 2666, which ensures that the FCC must forbear from regulating rates charged for broadband Internet access service; (2) a discussion draft entitled the “Small Business Broadband Deployment Act” to make permanent the temporary exemption for small ISPs from enhanced transparency requirements for broadband Internet access service providers ; (3) H.R. 2669, to prohibit the use of text messages and Voice over Internet Protocol services in spoofing efforts; and (4) H.R. 1301, which directs the FCC to adopt rules to protect the use of amateur service communications from private land use restrictions. Witnesses for the hearing were: Ms. Elizabeth Bowles, President and Chair of the Board for Aristotle, Inc. (on behalf of Wireless Internet Service Providers Association); Mr. Harold Feld, Senior Vice President for Public Knowledge; and, Hon. Robert McDowell, Partner at Wiley Rein, LLP and Senior Fellow for the Hudson Institute. Specific information on the bills, as well as a video of the hearing itself, can be obtained here . On January 15, the FCC’s International Bureau issued a press release announcing that Cuba has been from the FCC’s Exclusion List for International Section 214 Authorizations. By removing Cuba from the Exclusion list, the FCC permits U.S. telecom carriers to provide facilities-based telephone and Internet service to Cuba without separate approval from the Commission. Specifically, carriers seeking new international Section 214 authority for facilities-based service to Cuba to receive such authority sooner, and permits carriers with existing global Section 214 authority to provide services between the United States and Cuba without additional authorization. Cuba was the last remaining country on the Commission’s Exclusion List. On January 19, the FCC issued a Public Notice announcing the filing deadline for comments on the Further Notice of Proposed Rulemaking and Notice of Inquiry in the Matter of Revitalization of the AM Radio Service. Comments are due March 21, and reply comments are due April 18. Modify AM Protection Standards. This proposal consists of three steps: (1) All Class A stations should be protected, both day and night, to their 0.1 mV/m groundwave contour, from co-channel stations; should continue to be protected to the 0.5 mV/m groundwave contour, both day and night, from first adjacent channel stations; and the critical hours protection of Class A stations should be eliminated completely; (2) amend Section 78.182(k) of the Rules to return to predicting the nighttime interference-free coverage area using only the interference contributions from co-channel stations and the 50 percent exclusion method; and (3) return daytime protection to Class B, C, and D Stations to the pre-1991 0 dB daytime 1:1 protection ratio for first adjacent channels, change second adjacent channel groundwave protection, and eliminate third adjacent channel groundwave protection. Revise Rule on Siting Of FM Cross-Service Fill-In Translators. This proposal would modify Section 74.1201(g) of the Rules to provide that the coverage contour (1 mV/m) of an FM translator rebroadcasting an AM radio broadcast station as its primary station must be contained within the greater of either the 2 mV/m daytime contour of the AM station or a 25-mile (40 km) radius centered at the AM transmitter site, but that in no event may the translator’s 1 mV/m coverage contour extend beyond a 40-mile (64 km) radius centered at the AM transmitter site. Modify Partial Proof Of Performance Rules. This proposal would modify Section 73.154 of the Rules to require measurements only on radials containing a monitoring point. Eliminate or modify the recertification measurements requirements and removal of base sampling devices for periodic testing in Section 73.155 of the Rules. Modify Section 73.151(c)(3) to require reference field strength measurements when the initial license application is submitted for a directional antenna system based on computer modeling and sample system verification. Eliminate the requirement for surveying existing directional antenna arrays as long as tower geometry is not being modified and no new towers are being added to the array. sampling is used.\ o Permit use of MoM modeling for skirt-fed towers. Change MoM rules with regard to re-proofing when antennas are added to towers. 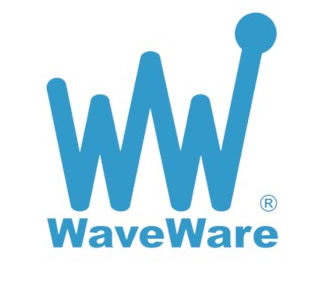 Eliminate requirement for current distribution measurements for top-loaded or other unusual antenna configurations when MoM or other numerical analysis method is used to determine antenna characteristics. Require Surrender of Licenses by Dual Expanded Band / Standard Band Licensees. This proposal would require any licensee with dual standard/Expanded Band authorizations to surrender one of the two authorizations within one year of release of a future Report and Order in this proceeding adopting this proposal. Forbes is reporting that Toyota announced at the 2016 North American International Auto Show that it has secured exclusive rights to use flat-panel antennae in its vehicles to provide high-speed satellite broadband on the road. The panel manufacturer, Kymeta, is a Redmond, Washington based technology company which has developed a solid-state satellite antenna that has no moving parts and can track satellites in moving vehicles due to the device’s software-controlled beam bending and steering capabilities. According to Forbes, Toyota says that the technology will enable the company to provide its customers with better services, such as updating 3D map data and software and various infotainment options. FEBRUARY 1: FCC FORM 555, ANNUAL LIFELINE ELIGIBLE TELECOMMUNICATIONS CARRIER CERTIFICATION FORM. All Eligible Telecommunications Carriers must certify that they verify consumer eligibility prior to enrolling a consumer in Lifeline by A) reviewing income and program-based eligibility documentation and/or B) confirming the consumer’s eligibility by relying on access to a state database and/or notice of eligibility from the Lifeline administrator. MARCH 1: COPYRIGHT STATEMENT OF ACCOUNT FORM FOR CABLE COMPANIES. This form, plus royalty payment for the second half of calendar year 2015, is due March 1. The form covers the period July 1 to December 31, 2015, and is due to be mailed directly to cable TV operators by the Library of Congress’ Copyright Office. If you do not receive the form, please contact Gerry Duffy. MARCH 31: INTERNATIONAL CIRCUIT CAPACITY REPORT. No later than March 31, all U.S. international carriers that owned or leased bare capacity on a submarine cable between the United States and any foreign point on December 31, 2015 and any person or entity that held a submarine cable landing license on December 31, 2015 must file a Circuit Capacity Report to provide information about the submarine cable capacity it holds. Additionally, cable landing licensees must file information on the Circuit Capacity Report about the amount of available and planned capacity on the submarine cable for which they have a license. Any U.S. International Carrier that owned or leased bare capacity on a terrestrial or satellite facility as of December 31, 2015 must file a Circuit Capacity Report showing its active common carrier circuits for the provision of service to an end-user or resale carrier, including active circuits used by itself or its affiliates. Any satellite licensee that is not a U.S. International Carrier and that owns circuits between the United States and any foreign point as of December 31, 2015 of the reporting period must file a Circuit Capacity Report showing its active circuits sold or leased to any customer, including itself or its affiliates, other than a carrier authorized by the Commission to provide U.S. international common carrier services. Jan. 28 – Comments are due on HAC NPRM. Feb. 1 – FCC Form 555 (Annual Lifeline ETC Certification Form) is due. Feb. 8 – Comments are due on 911/E911 Fees and Charges Report. Feb. 9 – Forward Auction Applications for 600MHz PEA licenses due. (6 PM EST). Feb. 12 – Reply comments are due on HAC NPRM. Mar. 9 – Reply comments are due on 911/E911 Fees and Charges Report. Mar. 21 – Comments are due on AM Revitalization FNPRM. by Leonetto Cappiello, 1922 Italy. Leonetto Cappiello (9th April 1875 – 2nd February 1942) was an Italian poster artist who lived much of his life in Paris, France. 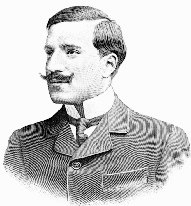 With no formal training in art, he emerged as one of the leading Italian artist and caricaturist in Paris that eventually succeeded the other famous lithographers such as Henri Toulouse-Lautrec (1864-1901), Jules Cheret (1836-1932) and Alphonse Mucha (1860-1939) as the leading advertising poster designer in Paris. Cappiello started his arts career as a caricature artist in 1896 illustrating for French journals like Le Rire, Le Cri de Paris, Le Sourire, L’Assiette au Beurre, La Baionnette, Femina, and others. His early caricature style was seen to be influenced by Henri Toulouse-Lautrec, which was already the most famous artist of the time. Today, arts historians list him as one of the most influential poster artist in the history of poster art as many would agree that he is also known as the “Father of Modern Advertising Poster.” As advertising posters were the main medium of communication during the time, Paris streets were saturated with many types of advertising posters, all trying hard to engage the increasingly distracted eye balls. There was a need to rethink how poster as a medium need to be relevant and engage the faster pace of the 20th century. Leonetto Cappiello succeeded in doing so. He is credited to revolutionize the old thinking of poster illustration during his time. Cappiello’s concept of poster art was simple, to simply engage audience faster by creating unconventional visual impact. He was the first poster artist to boldly experiment and innovate new graphical styles at the time. His presentation was straight forward with use of enlarged bold subjects with unconventional colors,contrasted by the very dark background, which make his art “pop out”. By doing so he moved away from illustrating intricate details in his artworks, which was famous at the time as art nouveau movement was popular. His new functionalist style of graphic art, in which a single bold image would be used to grab the viewer’s attention. This graphic design proved highly effective, not only in drawing attention to the product but also in building a brand. 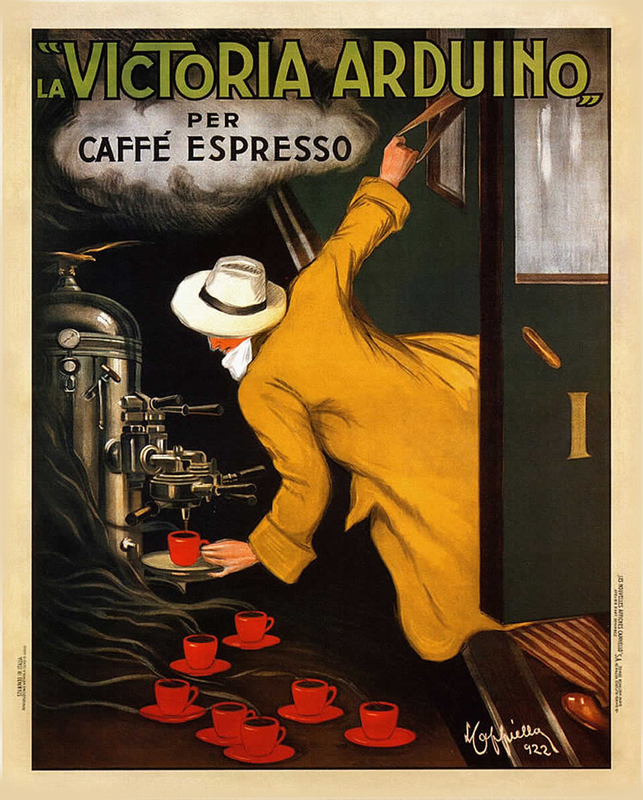 It made Cappiello the acknowledged master of the advertising poster in his time for almost 20 years. Cappiello’s career as a poster artist began in earnest in 1900 when he began a contract with the printer Pierre Vercasson. In this period, the printers would act as an agent for artists and commission work to them. Vercasson had a print house, and his goal for his clients was to bring vibrant and color to the streets of Paris. Posters were the main advertising medium of the time and he wanted the posters that he produced to stand out from the rest and attract lucrative new advertisers to his agency. Source: RetroGraphik If you come for a visit, you will see this artist's works decorating my humble home.